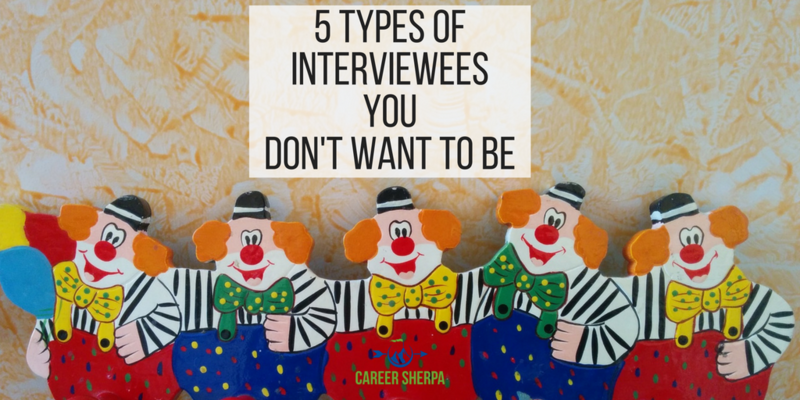 Contrary to popular belief, you probably aren’t innately good at interviewing, believe me! Avoid job interview mistakes and missteps and don’t be one of these five types of interviewees. Your interview is a make-or-break opportunity. All the time and effort you spend applying for jobs, tweaking your résumé, crafting the perfect cover letter and networking are all to land an interview, so you don’t want to blow it. Talented actors take on the persona of their character through hours of practice and so should you. Just don’t take on these personas. Ralph is a confident interviewer. So confident, in fact, that he doesn’t feel the need to plan how he will answer the question. He believes he naturally knows how to wow the interviewer – except he rambles. His answers are long and jump around without focus. If Ralph recalls an important detail at the end of his answer, he circles back and includes it. When he is finished talking, both the interviewer and Ralph have forgotten what the question was. The Fix: Ralph may naturally feel comfortable interviewing and building rapport, however, he would benefit from outlining his answers ahead of time. His answers should have a beginning, middle and end. When asked a behavioral question, such as “Tell me about a time when…” Ralph’s answers would be more concise and focused if he used STAR stories, emphasizing a Situation, Task, Action and Result. Presenting answers in this format will keep him on track and help the interviewer follow the story. A close cousin to Ralph is Diana. When asked by the interviewer to “Tell me about yourself,” Diana begins by talking about her days in college, 20 years ago, and detail by detail, walks the interviewer through every job up to present. Diana also includes personal details about her family life. Diana believes in being honest, so when asked why she left her last job, she chronicles the entire saga, including how she left the building in tears. While waiting in the lobby for his interview, Neil’s heart begins to race. He is thinking about how he needs this job desperately. He feels like his whole future is riding on this one interview. By the time the interview begins, Neil is sweating and tongue-tied. He answers questions as quickly as possible, often with one-word answers, and just wishes the interview to be over. The Fix: Neil would benefit from reframing how he views the interview. It is a mutual exchange of information and Neil’s mission is to determine whether or not he wants the job. He has put undue pressure on himself and this is sabotaging his interview. Some simple deep-breathing exercises can also go a long way to ease his nerves. Octavia shows up at the interview talking on her cell phone. When the receptionist asks her how she can help, Octavia holds up her hand to silence the receptionist. Five minutes later, when Octavia is done with her call, she announces she is ready to be interviewed. She can’t recall the name of the person with whom she is supposed to meet, but she knows it is scheduled for 10:00 am. By the way, it is 10:05. The Fix: The interview is an opportunity for Sam to sell his skills, but he should pay more attention to the employer’s needs and wants. 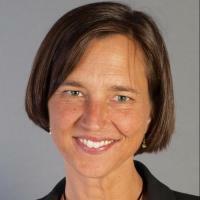 Today’s sales people are problem solvers and take a consultative approach. If Sam included how his skills and experience matched up with the job description, he would appear more interested. There is a fine line between being too pushy and confident. Rote answers come across as disingenuous. The best way for Sam to assert himself is by researching the company thoroughly and asking well-thought-out questions. If Sam was interviewing for a sales job, he should know to ask for the job at the very end of the interview. As the motto goes, be prepared! It helps if you have previous experience interviewing so you can anticipate some of the typical interviewing questions and scenarios. Here are some of the trends in job interviews. Rehearse your interview answers OUT LOUD! Role play with anyone. The more your practice, the more you will own your answers. With the confidence of a great actor, perform your best during your next job interview. You have gotten into character so you can be the best possible version of yourself!